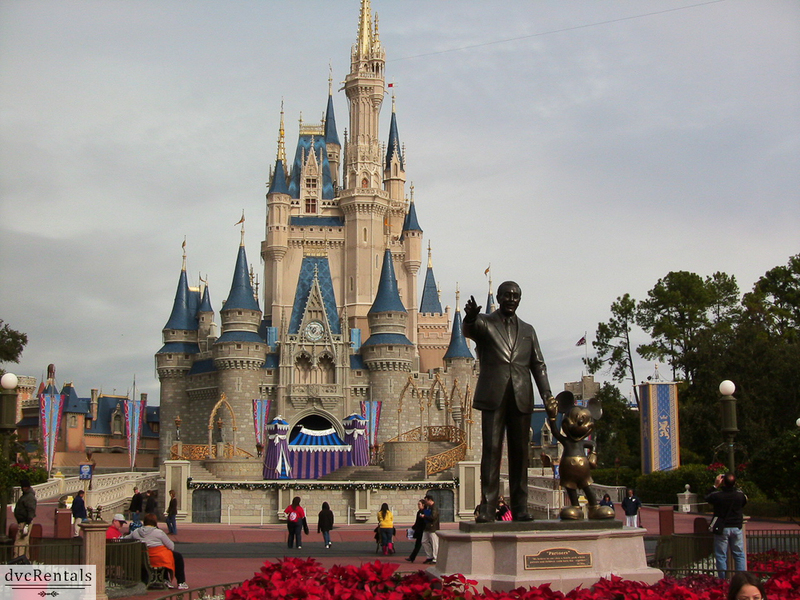 This itinerary was designed for those who want to get the most out of one day with a toddler (ages 2-5) at the Magic Kingdom. 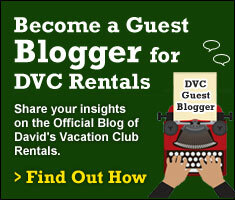 It’s meant for a newbie but I hope experienced Disney travelers will learn a few things as well. I have tried to organize this with the least amount of back tracking possible. Be sure to book your first 3 Fast Passes well in advance of arrival. You can book 60 days out if you are staying at a Walt Disney World resort, 30 days ahead if you are not staying at a Disney property. (If you need to know more about how to set up your Fast Pass please check Disney’s official site at DisneyWorld.com). 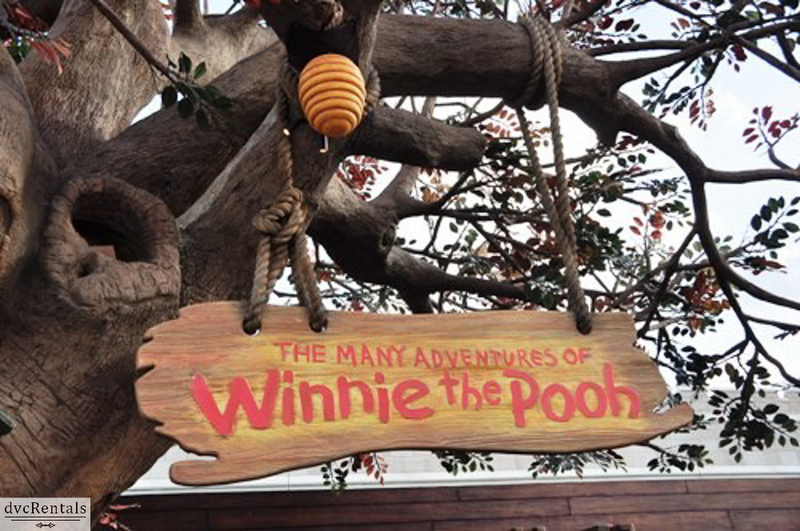 You can choose up to three Fast Passes, and the ones I would choose at the Magic Kingdom for most toddlers are: Dumbo the Flying Elephant, The Many Adventures of Winnie the Pooh, and Peter Pan’s Flight. If your little one is into princesses I would substitute a Fast Pass for meeting Anna and Elsa from Frozen. If he or she is brave and at least 38” tall, substitute Seven Dwarfs Mine Train for one of the three. These attractions are all in Fantasyland and all tend to have very long wait times as the day goes on. This touring plan assumes arriving at the Magic Kingdom at opening, at which time lines are short. I would make the Fast Passes for 2 hours after park opening, and just ride stand-by at first. Save those Fast Passes for the most crowded times of the day, generally noon to about 7 PM. As mentioned above, in order to do the most with the least amount of wait time it’s best to be at the park when it opens. You’ll get more done in the first hour after the park opens than you can get done in 3 hours later in the day. Arrive at least 30 minutes before the scheduled opening time (but no more than 45 so you and your little one don’t have too long to wait on line to be let in). When you go through the main entrance turnstile see if they have maps and time schedules there, they may even be handing them out. If they are available get two of each. (Trust me, one will get lost or ripped, LOL). There is an awesome welcome show, (which will start about 15 minutes prior to the official scheduled opening), after which you’ll count down from ten to “open” the Magic Kingdom. You enter by going underneath the Walt Disney Railroad station. You can go in via two tunnels, one on the left, and one on the right. If you plan to rent a stroller, enter on the right and get one, otherwise it doesn’t matter which way you enter the Magic Kingdom. By the way, I have found that it is really handy, even up to age 5 to have the stroller. Kids get tired a lot faster than we do, and there’s a lot of walking at the parks. Plus they can nap in the stroller if they need to. As you go through the tunnel into the park, grab a time schedule and park map if you weren’t able to get two of each when you went through the turnstile. You’ll see lots of stores to tempt you on Main Street, but do the attractions first. You can always go back and amble around in the stores when it’s later in the day and the attraction lines are very long. Pass the stores and head straight ahead towards the castle. Take in the gorgeous piece of architecture as you approach, but wait until later for pictures. The castle will still be there later in the day. 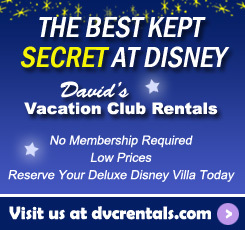 The sooner you get going the more attractions you’ll be able to ride with little or no wait. Now it’s time to choose rides that you don’t have Fast Passes for, but will eventually develop a long line as the day goes on. I am going to assume you and your child are going to use Fast Passes for Dumbo, Peter Pan’s Flight and The Many Adventures of Winnie the Pooh. If you have substituted Anna and Elsa and/or the Seven Dwarfs Mine Train you will have to tweak things accordingly. As you will see if you check out the park map, the Magic Kingdom is divided into different themed “Lands”. Make the first left at the end of Main Street, pass the Crystal Palace and enter Adventureland. Walk straight through and ride the Magic Carpets of Aladdin. When you exit the ride go around the corner to ride Pirates of the Caribbean. If your child is scared of the dark you might want to skip this one. Although it is not scary, it is rather dark inside. The attraction is a boat ride through a town that has been taken over by pirates. After riding Pirates of the Caribbean, head to your left as you exit the ride. This will bring you near two roller coaster rides. Splash Mountain is a flume ride themed on Song of the South. 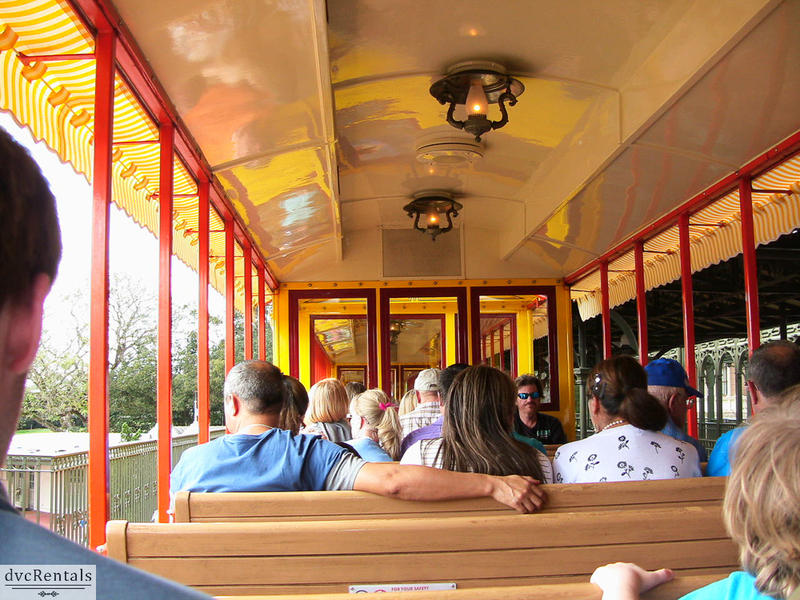 Big Thunder Mountain Railroad is “The Wildest Ride in the Wilderness”. Both of these have height requirements of at least 40”, and they DO measure, so be sure your child qualifies to avoid last minute disappointment. Neither of these are intense roller coasters, but if your child is afraid of coasters, naturally you will want to avoid these. Once you have done (or decided to skip) Big Thunder Mountain Railroad and Splash Mountain, it’s time to head back towards Fantasyland. If you go down the street just opposite Splash Mountain you’ll be headed in the right direction. 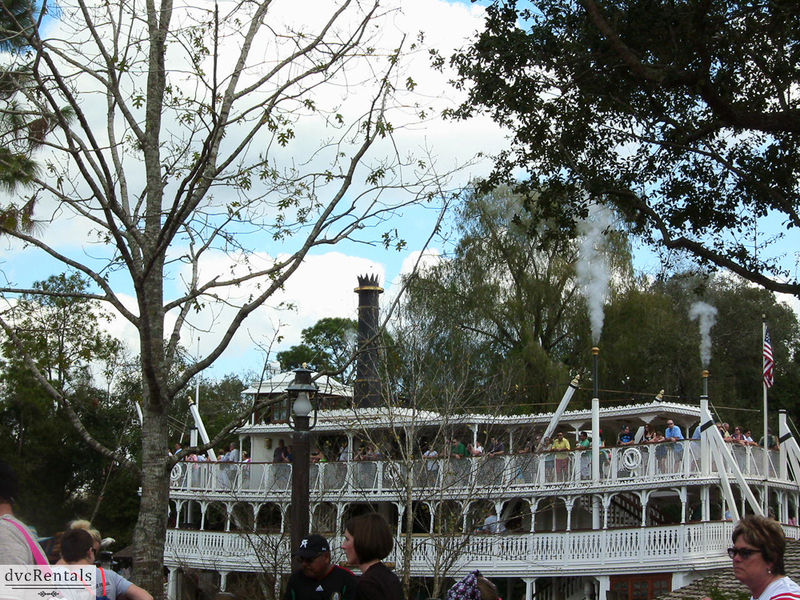 You’ll pass a Riverboat on your left and then you’ll see the entrance to the Haunted Mansion on the left just past the boat. This thrills some kids and scares the pants off of others. The “fright” is all in fun, there is very little that is actually scary here, but young imaginations can cause fear. This is another decision you’ll have to make as a parent. One thing I have yet to mention is the baby swap. If you are with a child who is too scared or not tall enough for an attraction that you or others in your party want to go on, there is a solution. Tell the Cast Member at the entrance that you want to do the Baby Swap. One person waits with the child while the other(s) go on the ride. When those who rode disembark, the person who was waiting gets to ride without going through the line all over again – a nice little bonus. 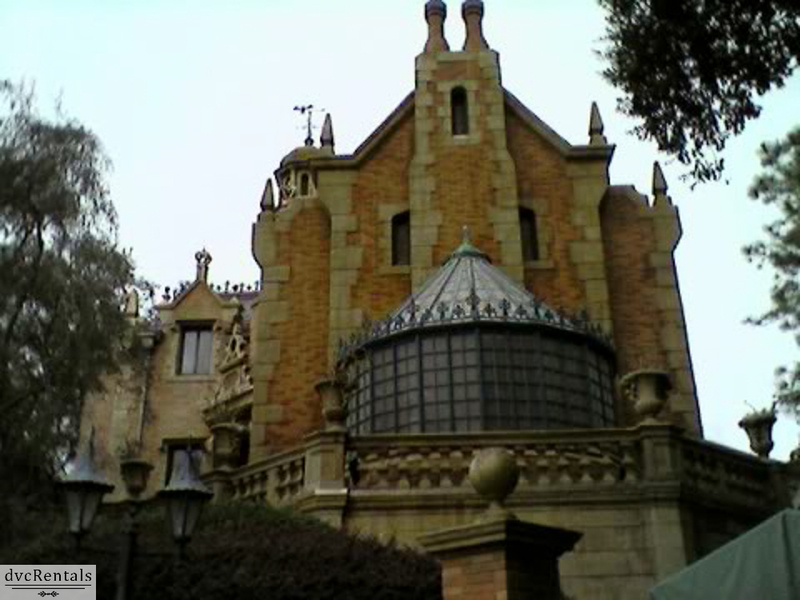 If you have gone on the Haunted Mansion turn left as you exit. If you don’t want to do the Mansion keep going straight after you pass the Riverboat. 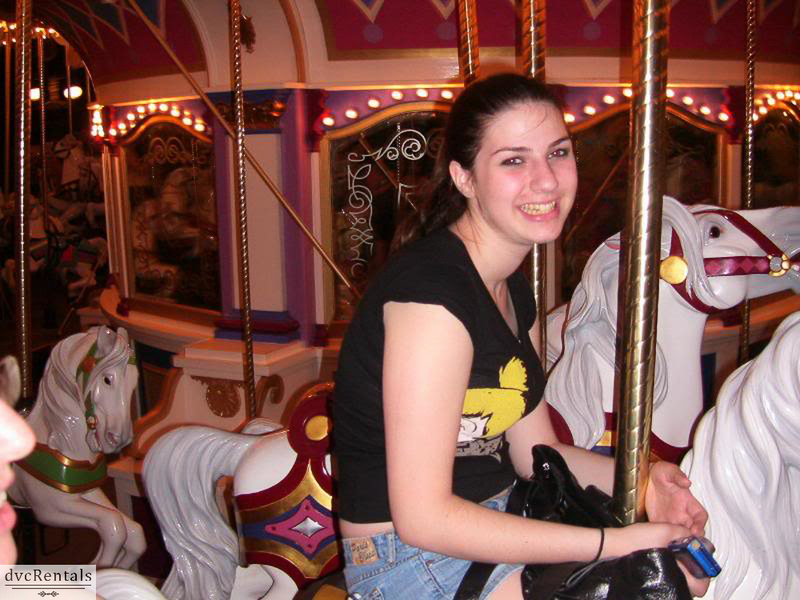 Either way, go straight ahead and ride the Carousel. Then head towards your left to the area called New Fantasyland. Experience Enchanted Tales with Belle and then go next door and ride Under the Sea: Journey of the Little Mermaid. I think all families, but especially families with young children should take a midday break, eat some lunch, sit for a while and get a second wind. In fact it’s not a bad idea to exit the park completely, especially if you are staying on property. Go back to the resort, swim and relax, maybe even nap (both your child and you!). Then you’ll be refreshed later when you return for more excitement in the park. It can be tricky timing the Fast Passes just right, but if you enter the park at 9, take a break at 12 and then come back about 2-3 with Fast Passes selected for your return time it should work out very well. 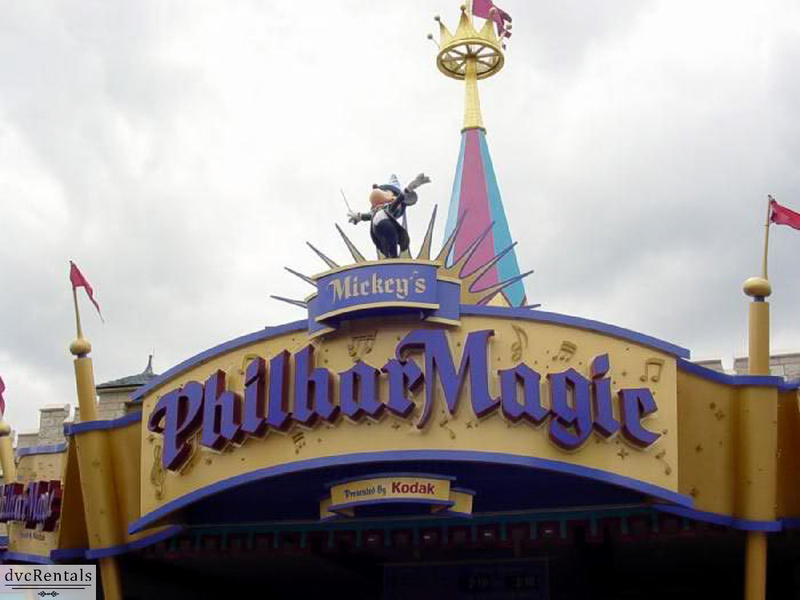 Mickey’s Philharmagic (Fantasyland) – a really cool 3D cartoon with other special surprises (I don’t want to ruin that for you, so I’m not elaborating). It’s a goodie for all ages. 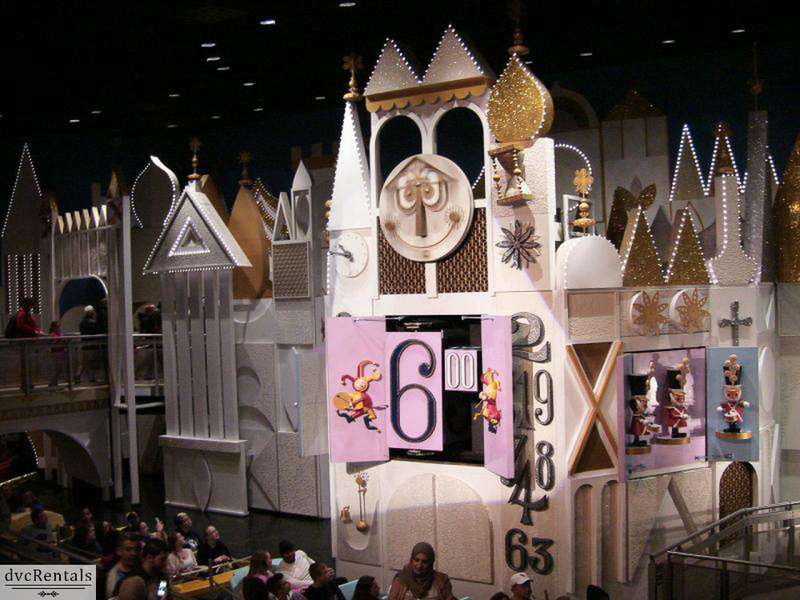 It’s a small world (Fantasyland), the classic ride everyone knows. Mad Tea Party (Fantasyland): This can make you feel sick to your stomach. If you, your child or anyone in your party is prone to dizziness I would advise them not to ride this. Barnstormer Starring The Great Goofini (Fantasyland): A kiddie roller coaster. Country Bear Jamboree: “Bears” that sing and tell corny jokes (Frontierland). Walt Disney Railroad: Board in either Frontierland, New Fantasyland (near the barnstormer) or Main Street. Monsters Inc. Laugh Floor (Tomorrowland) – but only if your toddler likes Monsters Inc. characters, as s/he probably won’t get most of the jokes. Tomorrowland Transit Authority PeopleMover: A slow moving tram ride that goes inside Space Mountain and gives a tour of Tomorrowland attractions. Jungle Cruise (Adventureland): A fun boat ride with many funny jokes made by the captain. Your child probably won’t get the jokes, but there are a lot of audioanimatronic animals and other things to see that little ones will enjoy. Tom Sawyer Island (Frontierland): A raft takes you to an Island adventure. There are caves to explore, rope bridges to cross and a “real” fort, among other things. It’s a super place for toddlers to let off some steam in a non-structured environment and a great place for a picnic if you have food with you. Enchanted Tiki Room (Adventureland): A cute attraction featuring singing audioanimatronic birds. Buzz Lightyear’s Space Ranger Spin: A computerized arcade type game. Guests ride in an Omni mover vehicle and attempt to shoot targets with a “laser gun”. This is for older toddlers as younger ones won’t be able to aim or shoot the gun. However you can ride together and have him or her “help” you shoot. This is a popular attraction so if you opt to do this try to do it early. Tomorrowland Indy Speedway—The cars are slow as molasses and the line is always long. However if your child is REALLY into automobiles this might be worth doing. They do get the feeling of actually driving a fast car. Stitch’s Great Escape (Tomorrowland) – Dark and too scary for most little ones. Swiss Family Robinson Treehouse (Adventureland) – Too many steps to walk up for most little kids. But if your child is a fan of the movie and is good at climbing steps you might want to give this a try. Check the time schedule for some of the street acts such as Dapper Dans (a barbershop quartet found periodically on Main street), Main Street Marching Band, Frontierland hoedown (dance with characters in Frontierland). They are all worthwhile and the performers are very talented. Check with a cast member for exact times, these are not generally listed on the times guide. 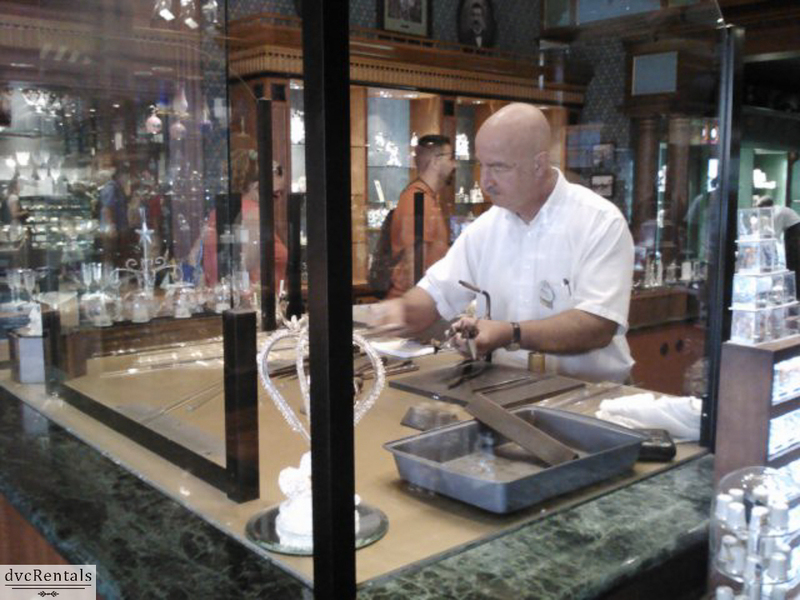 Watch the expert blow glass in the store on Main Street USA. See Captain Jack Sparrow do a pirate tutorial next to the pirates of the Caribbean ride in Adventureland. Times are listed on the schedule. Catch the Disney Character stage show in front of the castle – again, times listed on the schedule. Watch the 3 o’clock parade. To get up close you’ll need to get a seat no later than 2:30, probably a lot earlier on a crowded day. A good place to view is on the raised sidewalk in Frontierland. The afternoon parade starts there and ends by the Railroad station on Main Street. The nighttime parade goes the opposite way – starts by Main Street and ends in Frontierland. 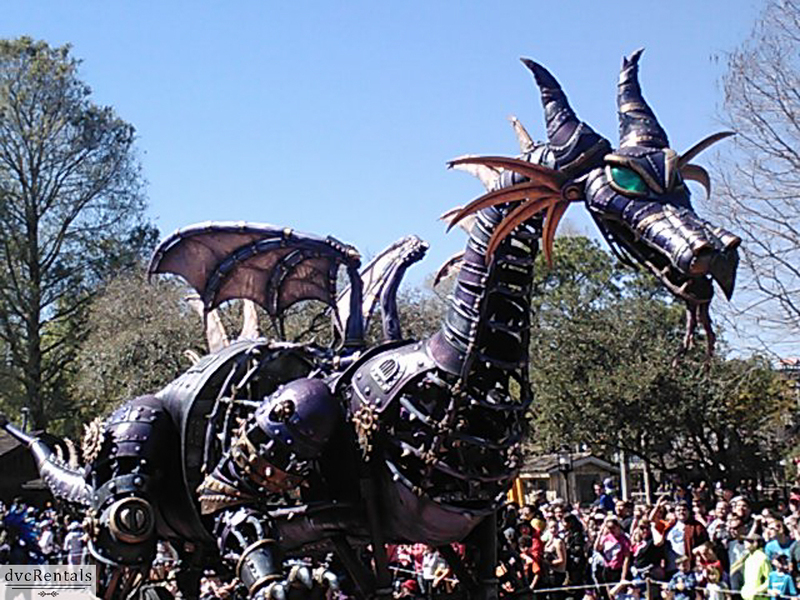 Speaking of the nighttime parade, if your little one is still awake I highly recommend it, and the fireworks too. 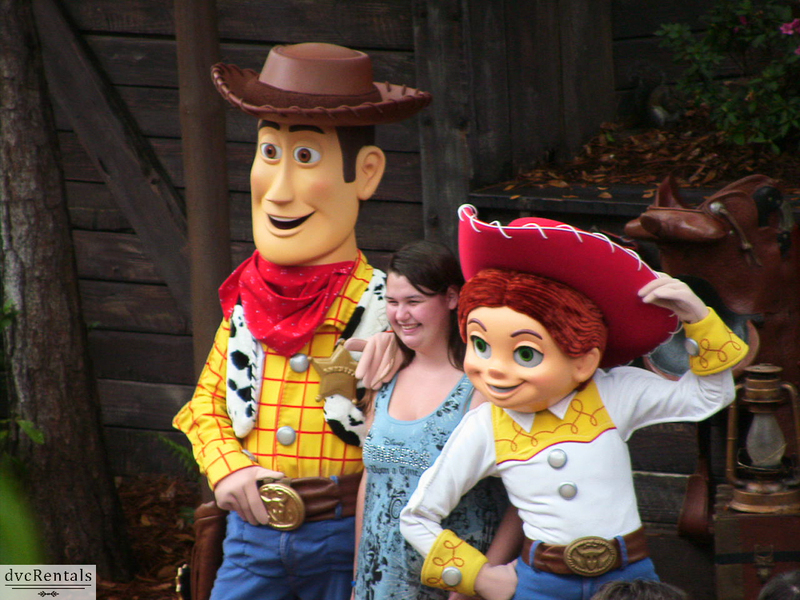 Character meet and greets: Check the times guide for where and when to meet your child’s favorite characters. Some people bring autograph books for the characters to sign. Don’t forget to go back and get some pictures of the castle before it gets dark. If you decide to take a midday break you might want to take pics on the way out or on the way back in. But most important of all have fun! If you see your child is burning out, skip some of the rides. Forcing an exhausted kid to keep going will just lead to meltdowns for the child and frustration for everyone else. The Magic Kingdom has so much to take in it’s impossible to do it all in one day. These touring plans are a guide to help you get the most out of a single day, but if you have more time and can spread it out to two or even three days that would be the ideal situation. 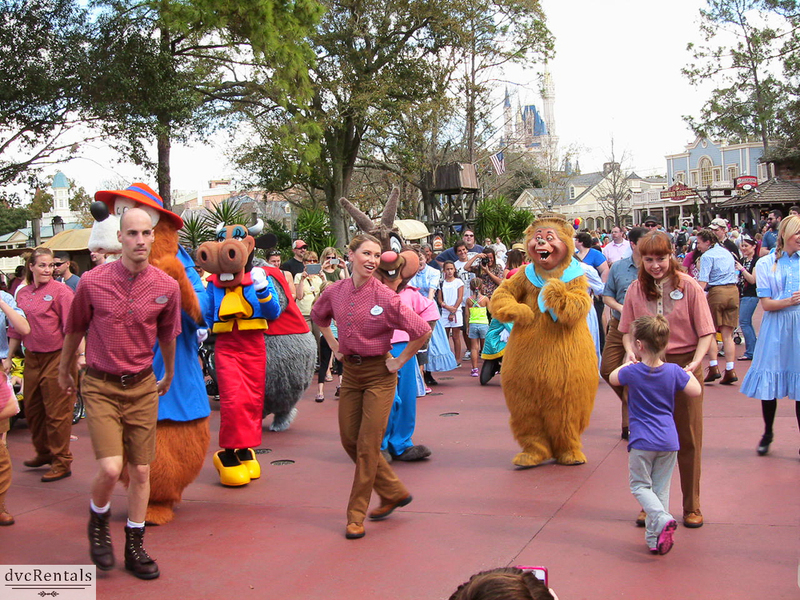 4 thoughts on "Magic Kingdom Touring Schedule for Toddlers"